Your email provider does the best it can to keep email spam from you. Sometimes the systems they use mistakenly catch good mail along with the bad. If you do not see an email from Rx Academy in your email inbox, our email may have been mistakenly sent to your spam folder. In this case you will need to open your spam folder (or spam software) and find the email from Rx Academy or support@classroom24-7.com and mark it as "Not spam". This is commonly called "White listing" email addresses. We have provided a list of the more common email providers and spam filtering software below. Find your provider or software you use for instructions on how to make sure you receive future emails from us. Contact your ISP or internal IT support group for assistance if your email client or spam filter is not listed. If you do not see an email from support@classroom24-7.com, you may need to add our email address to your contacts list. If you see an email from support@classroom24-7.com, open the email. Open the email from support@classroom24-7.com. 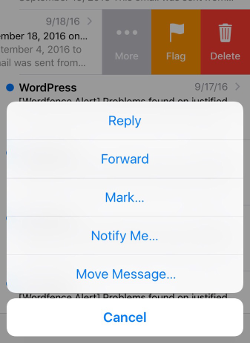 Select the drop down arrow next to "Reply" in the upper right side the email from header. Select Add support@classroom24-7.com to Contacts List. If support@classroom24-7.com does not appear in the dropdown list then you may have already added support@classroom24-7.com to Contacts. Open the Gmail Mobile App on your mobile device. If you are using Gmail Tabs such as "Promotions", open your Promotions tab in Gmail. 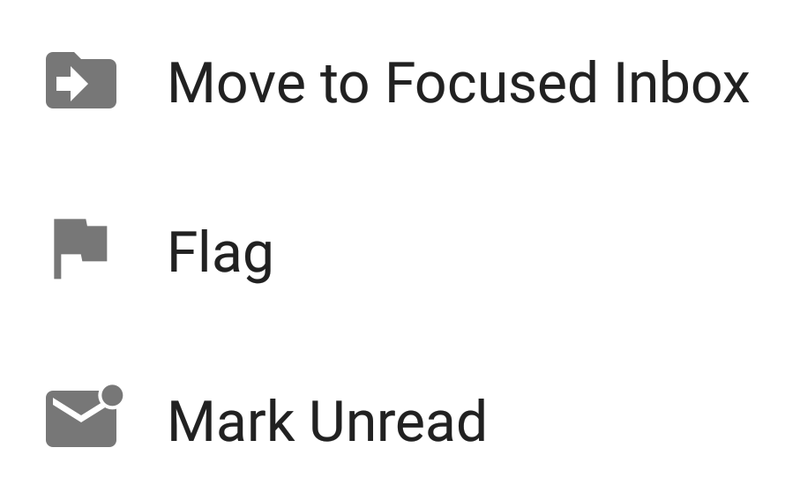 NOTE: My Preferred Folder does not exist by default in Gmail. It is there as an example because custom folders must be created by the user. Grab and drag our email to the Primary Inbox Tab. You will receive an alert like the one below. Select Yes in the yellow alert box. Select the Not Spam button on the top toolbar. Select the tap Gear icon in the top right navigation bar. Select Add on the Filters page. Choose the destination folder to which you would like the message delivered. Ttypically this would be Inbox. Verify that get -Deliver to Inbox if From contains support@classroom24-7.com-. 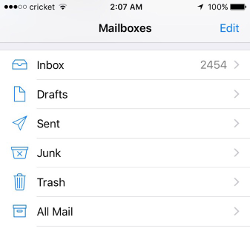 Check your Junk folder for email from support@classroom24-7.com. Find the email from support@classroom24-7.com and slide it left to see options. Select Mark as Not Junk. 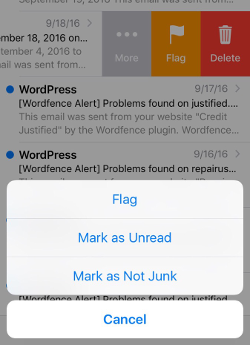 The message should be moved to your Inbox and all future email messages from support@classroom24-7.com will no longer be marked as junk. 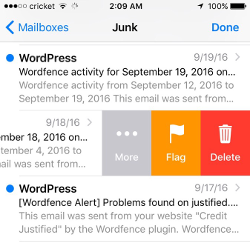 NOTE: By default messages in your Junk folder are deleted after 30 days so be sure to check it often to whitelist relevant email. Open the mobile Outlook app on your Android, Microsoft or iPhone. Select the dropdown menu . 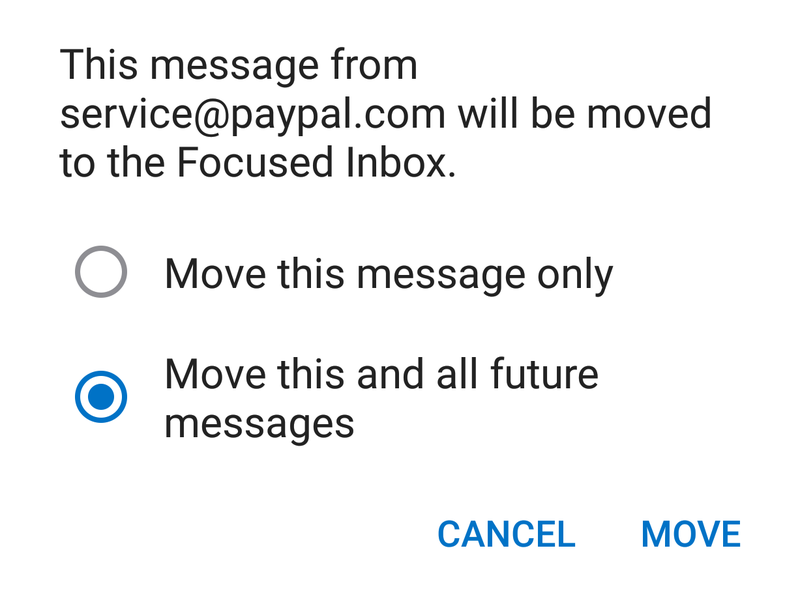 Select Move to Focused Inbox. SelectMove this and all future messages. Now all future messages from support@classroom24-7.com will appear in your Focused Inbox. If you do not see an email from support@classroom24-7.com in one of your Inbox bundles, follow the steps below to get our email recognized. First, check your Inbox Spam Folder or your Promotions bundle for our email:. If you have not already created a My Preferred Folder (or a folder of your choice), you may do so by clicking + Create new. Add support@classroom24-7.com to your My Preferred Folder. Select the Wait it's safe link if you find emails incorrectly identified as spam. Select the gear the icon on the top right of the screen. On the Options page under Preventing junk email select Safe and blocked senders. Enter the email address support@classroom24-7.com in the text box. Our email address will now be added to your list of safe senders. Select Not spam in the resulting list. Select the show details link next to the email in the From field. Select the "not spam" icon . Select on the button at the top left of the email that says + Add to Address Book. This will open the edit contact screen. Select Save to save the email in you address book. If you see an email from support@classroom24-7.com in that folder, open the email. Select Add to Address Book in the email header. Use the Address Book Editor to verify our details and select Save. Use Rx Academy as our name and support@classroom24-7.com as our email address. Future emails from us will now be delivered to your Inbox. Click here to go to the Yahoo instructions. Under the Contact tab, copy and paste the "From" address support@classroom24-7.com into the email text box. Under Detailed Settings, select AntiSpam. On the Filter tab, next to Blocked List, select Configure. From the Network tab, select Message Protection. Under AntiSpam, next to Blocked List, select Configure. In the Blocked List window, select Rx Academy and select Remove. If you do not find Rx Academy in the Blocked list, go to next step. In the Settings window, under Detailed Settings, select AntiSpam. On the Filter tab, next to Allowed List, select Configure. In the Settings window, on the Network tab, select Message Protection. Under AntiSpam, next to Allowed List, select Configure. In the Allowed List window, Select Add. Add Rx Academy, and then select OK. In the Allowed List window, select Apply, and then select OK.
Open McAfee and select Web & Email Protection. Add Rx Academy to your "Friends List". Select the Spam Mail folder and select "legitimate email detected as spam". Select Yes to confirmation adding our email to the approved sender list. Find an email from Rx Academy or support@classroom24-7.com in @SaneLaterand drag the email to your Inbox folder. Spam Assassin is administered by your server administrator so you will need to contact them and request that they whitelist email from Rx Academy (support@classroom24-7.com) to your user_prefs file. Barracuda emails you a daily summary that show quarantined emails. Open the email from Barracuda. Locate support@classroom24-7.com or Rx Academy and select on the word "Whitelist" to the right of the email title. This will open your list in a web browser. Select the box to the left of the email and select "Whitelist". Open your web browser and log in to your Barracuda homepage. Select Sender Domain Block/Accept and enter the our domain name (support@classroom24-7.com) to be whitelisted. You may want to add Rx Academy as a comment to remind you why you allowed this email. Highlight the email from Rx Academy with the email address support@classroom24-7.com and select More in the SPAMfighter Toolbar. Then select Whitelist. You can then choose if you want to whitelist just this email or the whole domain. We recommend whitelisting the whole domain. Select Tools, then Blacklist & Friends. Enter support@classroom24-7.com on a line by itself in the entry field. Rx Academy is in no way associated with any of the brands, websites or applications quoted here. All Trademarks ® are the property of their respective owners. These instructions are provided as a approximate representation of the steps required to whitelist our emails to you. Given the fast pace of change in email spam software, these instructions may be obsolete, therefore Rx Academy assumes no responsibility for the accuracy of these instructions. These instructions were provided by Email Delivery Jedi.